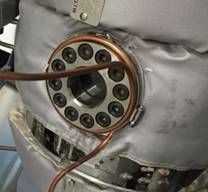 In 2013, a major oil company in the Pacific Rim region sought to purchase a customized autoclave lid assembly that would allow them to study the effects high-velocity liquid flow on the corrosion rate of pipeline materials when exposed to high pressure and high temperature within an autoclave. The customer’s goal was to be able to simulate a flowing pipeline without the need to build a large, costly, flow loop. 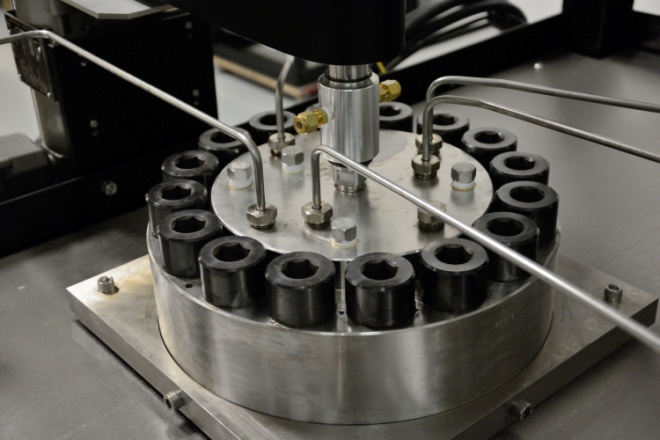 In early 2014, Cortest was awarded a contract to develop what would be called the “Flow-Tube Lid Assembly.” The assembly would need to work at temperatures up to 204°C and at pressures up to 3,000 PSI. 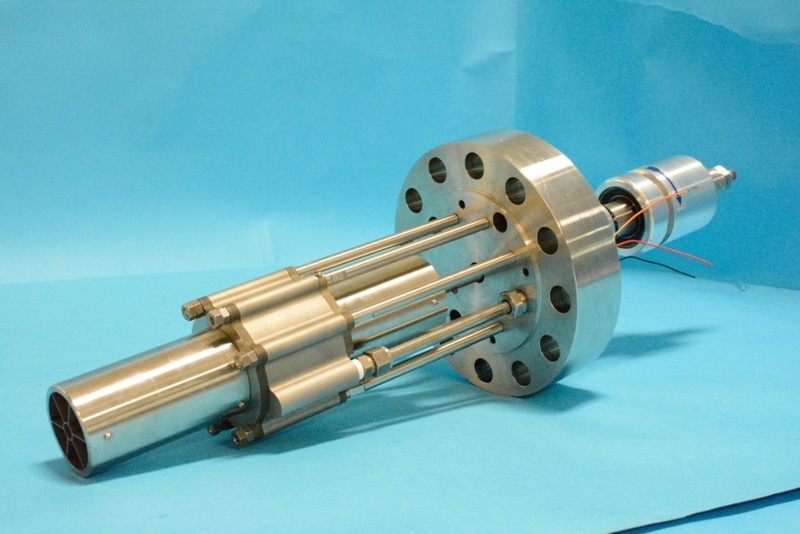 The main objective however was to see the maximum single phase flow rate that could be achieved through a series of cylindrical electrodes that simulated the pipeline. 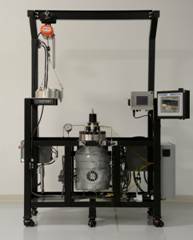 After final testing proved the flow-tube lid assembly provided a measurable liquid flow rate of up to 1.4 m/sec. Later in 2014 the same customer wanted to purchase two new Hastelloy C-276 test systems that included the previously developed flow-tube lid assembly. The requirements for the new systems were a bit more demanding. The customer required that the new test systems be able to be used as standard HPHT stirred autoclaves that could operate at temperatures up to 300°C and at pressures up to 5,000 PSI, the standard stirred lid assembly be interchanged with a flow-tube lid assembly, the autoclave I.D. be 9”(228.6 mm), the autoclave volume be 20 liters, the autoclave be DOSH certified, all electrical components be explosion resistant, and finally, they wanted to be able to view the environment during tests. In January 2015, this new project was started. The autoclave bodies and lids were machined from 13” diameter custom forgings. Each autoclave body had a 9” (228.6 mm) I.D. and a 13” (330.2 mm) O.D. with a 19.25” (489 mm) inner cavity. Each autoclave lid was 4.25” (108 mm) thick. At the time, these were the largest non-welded, Hastelloy pressure vessels that Cortest had produced. Due to size of the I.D., it wasn’t practical to use the standard Cortest seal ring design for this project so alternative seal designs were tested and ultimately a C-style seal design was selected and integrated into the autoclave design. As the customer required being able to see the environment within the autoclave during testing, sight glass windows would need to be installed on the body of the autoclave, each window having a viewing aperture of 2” (50.8 mm). The sight glass windows would be exposed to the full system temperature and pressure (300°C/5,000 PSI). This proved to be the single most challenging requirement of the project. Sight glass window manufacturers were reluctant to guarantee an assembly at the required temperature/pressure. After a long search, our engineering team found a company that was willing to work on the sight glass window assemblies. After receiving the sight glass window assemblies, they were installed and hydrostatically tested to two times the maximum system operating pressure. The assemblies passed the hydro-test. Next we needed to conduct a full function system test which would include operating the systems to maximum temperature and pressure simultaneously. The system test commenced and was proceeding well until one of the sight glass windows cracked. We repeated the test on the second system and the results were the same, another window cracked at high temperature and high pressure. After some investigation and some brainstorming amongst our engineers it was determined that the difference in thermal expansion rates of the sapphire glass window and the metal sight glass window housing was too great, this introduced stresses that the sight glass window could not withstand and thus the window cracked. To solve this problem, a cooling system was implemented to cool the sight glass window housings to prevent them from expanding so much when the vessel was heated. After several tests this solution was confirmed. With this major hurdle out of the way, further system performance testing was able to be conducted, this meant testing of the 2nd generation flow tube lid assembly. Having learned that performance of the assembly was very dependent upon the volume of liquid in its total system, we expected an increase in performance over the first flow tube lid assembly the customer had received from us a year earlier. The results confirmed this; a measurable liquid flow rate of up to 2.35 m/sec. was achieved. Additional system design features that were unique to this project included a custom designed frame with overhead crane system for easy lifting and moving of the autoclave lids, explosion resistant heating system, pressure transducer, and stirrer motor, and finally the third party design approval required to meet the DOSH, Malaysia standards necessary to allow for the installation and operation of the system within Malaysia. This equipment was installed and accepted by our customer and approved by DOSH in December 2015. Cortest is proud to have been a part of this successful project.